One of the many Corvettes on display at San Diego’s Embarcadero Park North at the North County Corvette Club of San Diego’s “Plastic Fantastic” show, May 6, 2012. A downhill ski slalom course is what the positioning of the light standards and green refuse containers along the sidewalk remind me of, or maybe a slalom course for roller bladers. This final image is actually a composite of four HDR images that I lined up together, after flipping two of the images horizontally to create the symmetry. Edward Hopper is one of my influences and his “Early Sunday” image was in the back of my mind when I conceived of this layout. The stylistic direction that I have been going in is a direct influence of work by the painter Edward Hopper during the first half of the 20th century and also by the illustrator, Bruce McCall in contemporary times. I like their choice of subjects, their techniques influence my use of saturated colors, simplified shapes and lines and the seeming flatness or lack of texture that I create in what would usually be considered textured or sculpted (multi-dimensional) objects. To see a high resolution version of this image or to purchase a print, please click on the image above. Use coupon code “BFriday” this Friday, November 25 to receive a 30% discount on any prints purchased from my gallery which you will find at waynefrost.com. Whether the car or its owner, you get the idea that once they start driving forward, they will not be slowing or stopping until they have reached their objective. 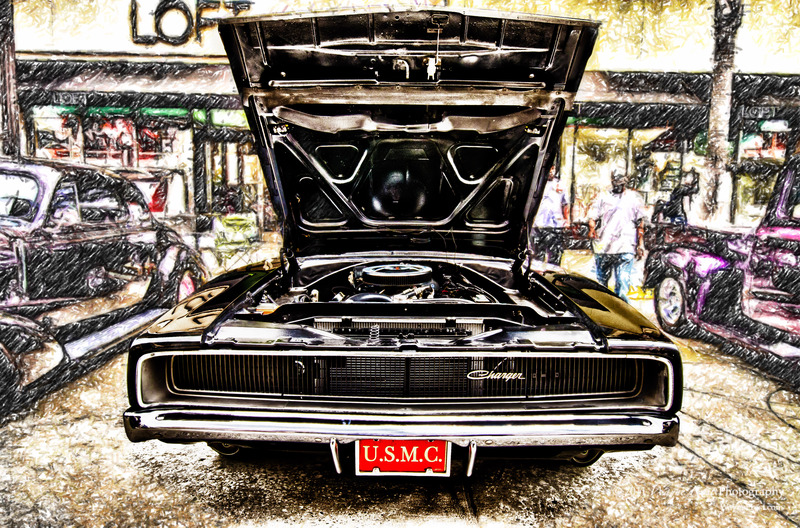 A Dodge Charger (circa 1968) on display at the Pasadena Police Department Classic Car Show, June 19, 2011, Pasadena, California. 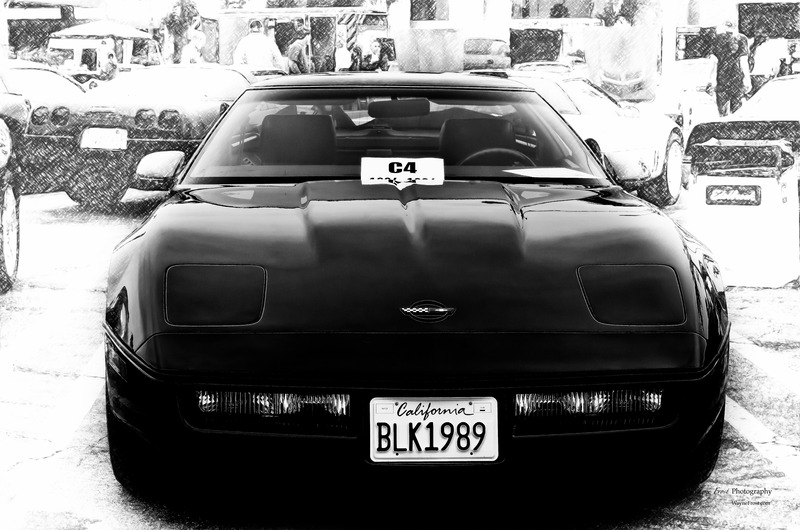 A final black Corvette that was captured at the Vette Set show in this series. 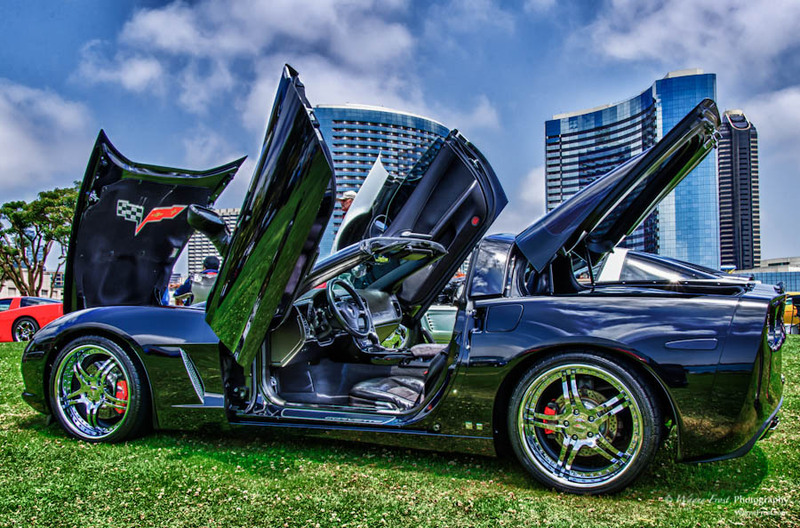 This is my favorite rendering of the black Vettes. After HDR processing and tone mapping I converted the background layer in to a pencil drawing. 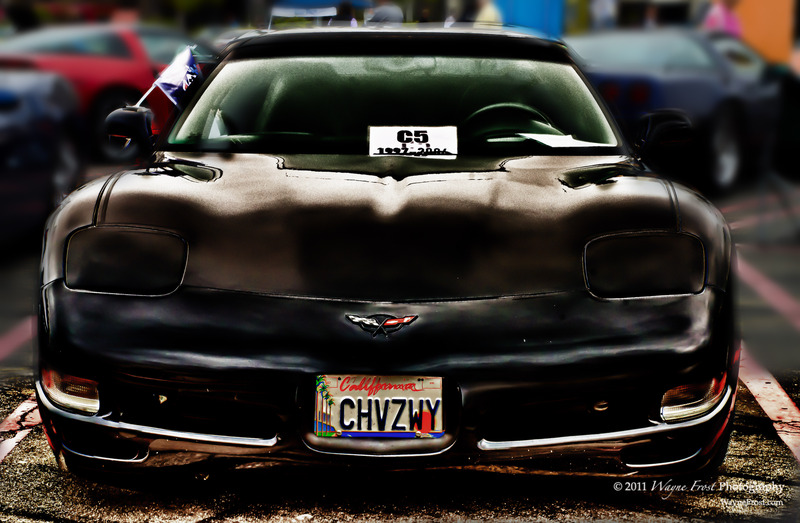 Another black Corvette at the Vett Set show in Redondo Beach, California. There were 90 odd Corvettes on display that day. I’ve got the “CHVZ” on the license play figured out, but have no idea what the “WY” represents. 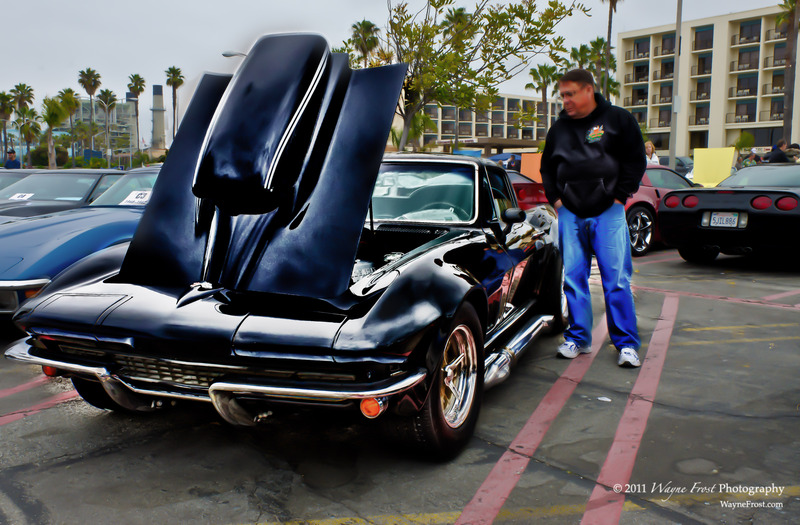 One of at least a half dozen black Corvettes being admired at the Vett Set Car Show, Redondo Beach, California, June 11, 2011.